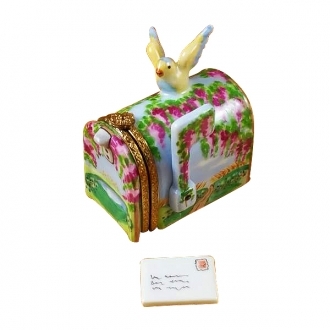 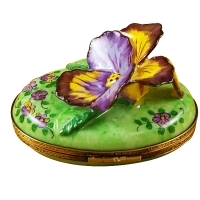 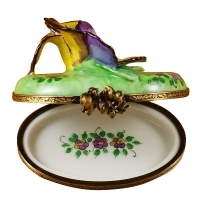 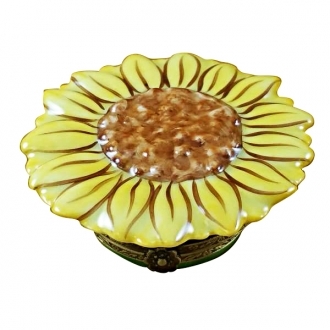 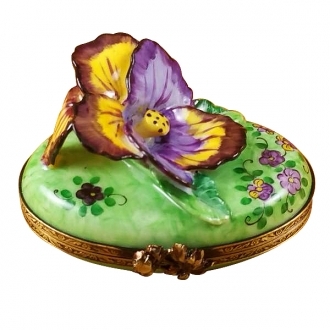 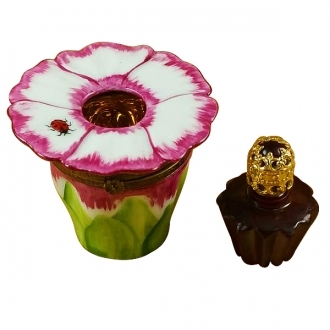 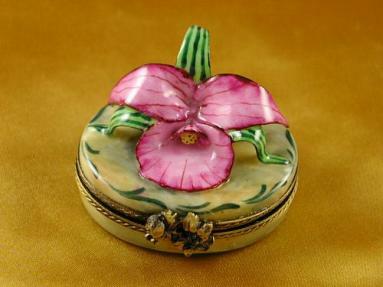 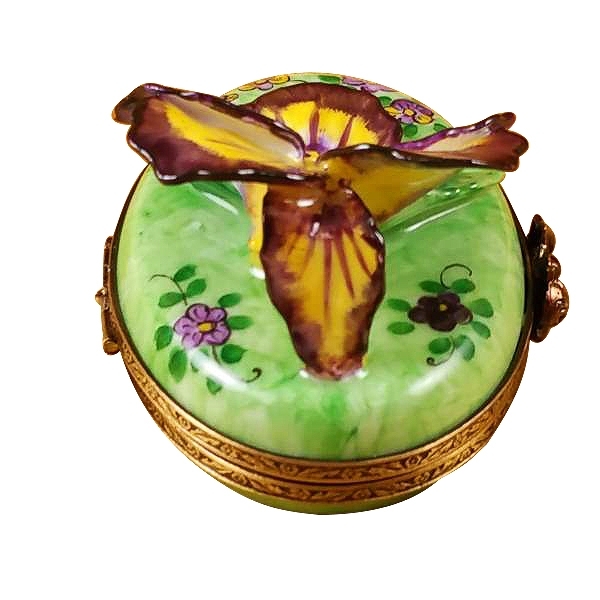 Pansy - purple & yellow - Limoges Boxes and Figurines - Limoges Factory Co. 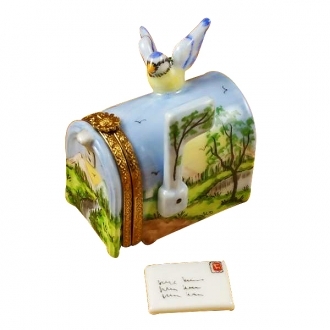 This is a round Limoges box big enough to hold small ornaments or souvenirs. 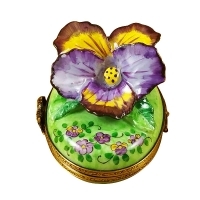 The green box is embellished with the image of a purple and yellow pansy. 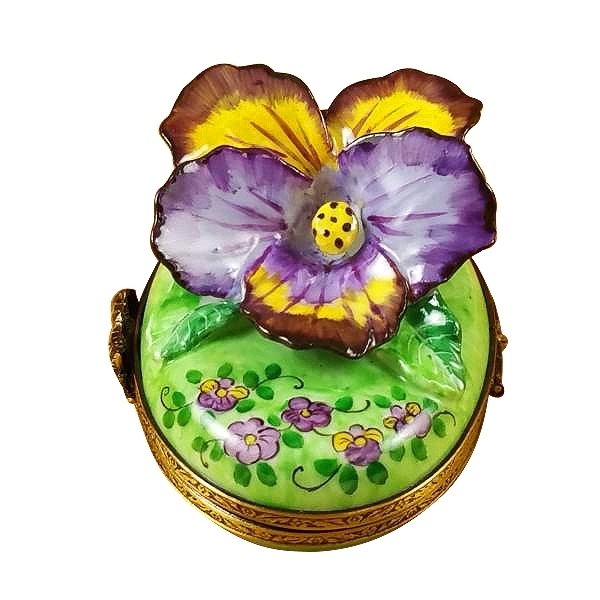 The box is further painted with more pansy flowers among leaves. 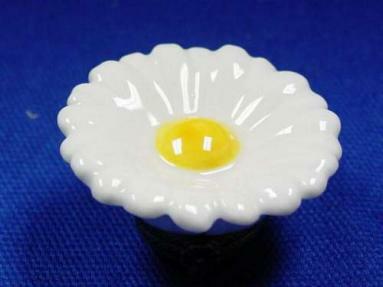 This is a charming gift item. 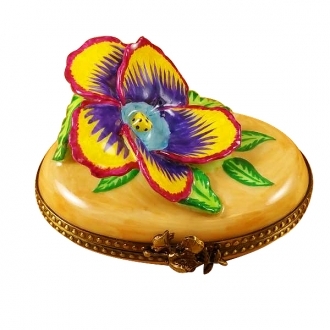 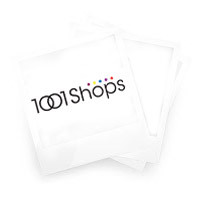 It can also serve as a décor item on a table. 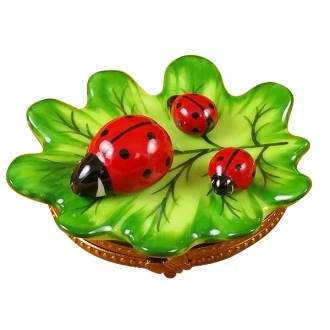 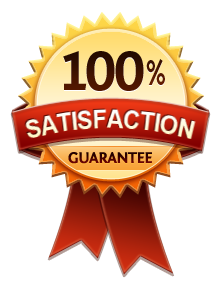 Measurements: 2,75" х 1,75" х 1,75"
H: 3.25" W: 2.50" L: 1.50"
H: 2.00" W: 2.00" L: 1.50"
H: 1.00" W: 1.25" L: 2.75"